All WILLOW BEND, GARDENS OF W homes currently listed for sale in Lake Worth as of 04/26/2019 are shown below. You can change the search criteria at any time by pressing the 'Change Search' button below. 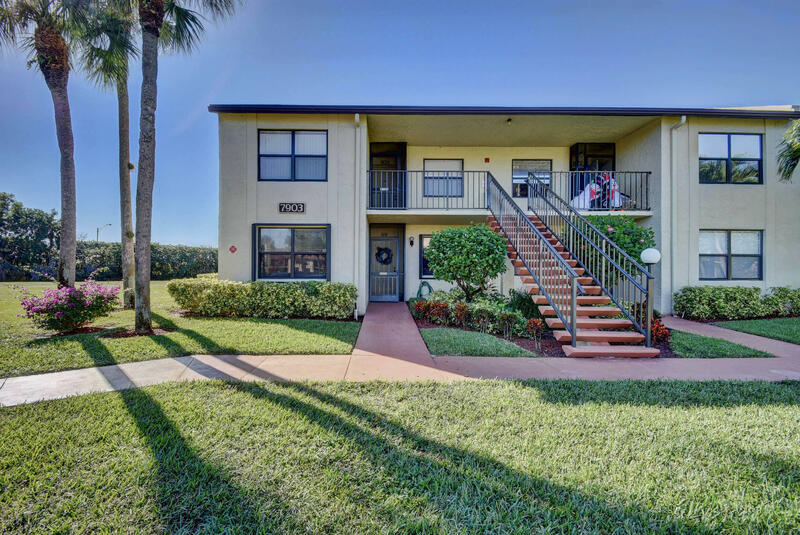 "***SELLER IS VERY MOTIVATED*** FURNISHED, RARELY ON THE MARKET, 2 BEDROOM 2 BATHROOM CORNER UNIT IS CONVENIENTLY LOCATED ON THE FIRST FLOOR IN A BEAUTIFUL 55+ COMMUNITY. THIS UNIT IS LIGHT, BRIGHT WITH LOTS OF NATURAL SUNLIGHT; LARGE ENCLOSED PATIO WITH STROM SHUTTERS AND HURRICANE ACCORDiON SHUTTERS ON ALL EXTERIOR WINDOWS AND DOORS. SUBDIVISION AMENITIES INCLUDES: POOL, GYM, CLUB HOUSE, TENNIS COURTS, ETC."